Happiness is so individualized and complex, so dependent on a myriad of factors – of circumstances and life events, upbringing, culture, relationships, preferences, and personality quirks – that anything averaged over a group is unlikely to do much to describe the lived experience of any one person. This slender gray volume appears to be a survey of what makes American anxious; however, it segues into a memoir of the author’s search for happiness in the Golden State. Ms. Whipmann begins her residency with her husband and one toddler and adds another child along the way. The local experiences she describes vary from playground interactions with other moms and kiddies to encounters with her apartment neighbors. To her credit, Whippman travels to other regions of this anxious nation to gather a broader view of her topic. The seemingly content and happy Mormons in Utah are the focus of her fieldwork. She also delves into academia, parenting and workplace standards of contentment. The accolades on the book jacket extolling the author’s wit and hilarious humor are relatively accurate, if exaggerated. Although America the Anxious does have its share of laughs and comic relief, the quote above left this reviewer with a sense of being let down. We may be portrayed as a nation of Nervous Nellies but not everyone is pursuing happiness with a negative result. This may have made for a fascinating inflight article. As a book, it’s overly padded with one person’s viewpoints, anecdotes, and opinions. Therefore, it is recommended only for those with the preexisting view that the U.S. is a nation of sad, miserable people. Right off, readers intent on quality of life improvement might recognize a physical similarity between The Little Book of Hygge and The Life-Changing Magic of Tidying Up and Spark Joy by Marie Kondo. All three books measure slightly over 5″ x 7″ and their covers are coated in that smooth durable finish meant for ease in handling without wear and tear. After all, if one is planning to absorb and implement the wisdom within its covers, a book must be portable and sturdy. The lovely illustrations generously sprinkled among the words of encouragement written by Meik Wiking are immediately recognizable as Scandinavian. Just as Ms. Kondo’s cute and dainty illustrations are very much in keeping with the modern Japanese style of Hello Kitty. While Ms. Kondo’s are neat and tidy primers on folding and storing one’s possessions, Mr. Wiking’s contain ample clues to the elements of Hygge that the Danes enjoy year round. Clothing, candles, yummy recipes, fireplaces and, did I mention candles? 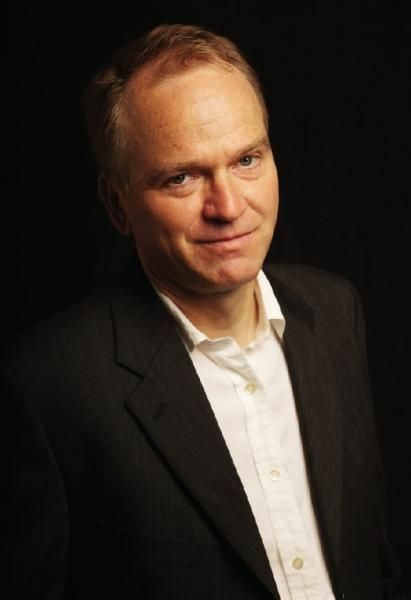 Author Wiking is the CEO of the Happiness Research Institute located in Copenhagen, Denmark. Readers may not be aware of the fact that Denmark is considered one of the happiest nations in the world. (More than Disneyland? – Ed.) Ample graphs and charts comparing Denmark to other nations establish this fact along with a more than sufficient amount of text explaining this phenomenon. What secrets are lurking in this volume? Well, maybe not exactly secrets so much as a comprehensive examination of the definition of Hygge that is parsed out into human, environmental and psychological elements. These elements, when combined, can provide the comfort and even a sense of well being that each of us truly needs in the current world. Who am I? Where am I going? Why am I here? Is that all there is? 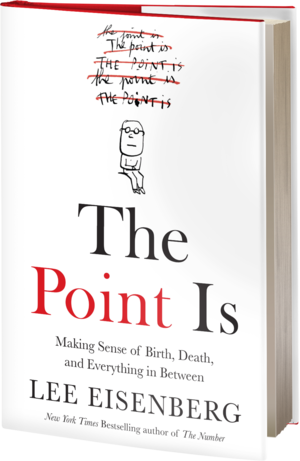 What’s the point? 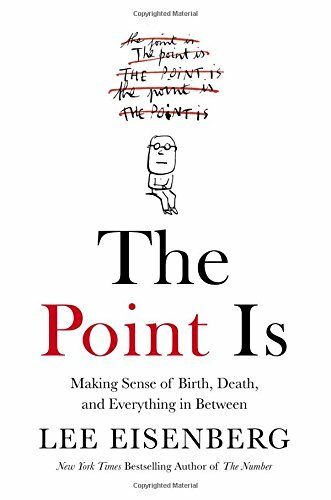 Having spent years in college studying philosophy and religion – the very things meant to explain birth, death and everything in between, I was skeptical that Lee Eisenberg could supply these answers. I think I was right. This is a sometimes interesting, sometimes rambling, journal about various insights that dropped into Eisenberg’s mind as he attempted to give meaning to life. Eisenberg is one of the people that he references as thinking too much about things in life. As such he often seems to miss the living forest while he’s wandering around writing about the trees. Eisenberg is first and foremost a writer and he sees life and living from a writer’s perspective: “The point is to write the best story we can.” Fine, but being a diligent writer-detailer is not the same as understanding the deeper what and why of existence. The Point Is might have been titled Random Thoughts and Ruminations. It’s less, far less, than satisfying. 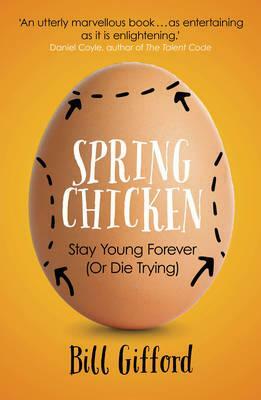 Spring Chicken is a book with an intended audience. You should read this book only if you are interested in living longer. Bill Gifford is a rather average guy, with a receding hairline and a bit of a beer gut, who decides to investigate how to live to and past the age of 100. It’s pretty tricky stuff, especially since “your risk of dying doubles roughly every eight years.” What? When we’re young, the risk (of dying) is fairly minimal; there isn’t much difference between age twenty-five and, say, thirty-five. But thirty-five to forty-five is a big jump, and by fifty our peers are popping up with breast cancers and colon cancers and high blood pressure and other scary ailments. Yes, this death business is pretty scary stuff. But Gifford handles it with a great deal of humor and more than a dab of self-deprecation. The surprising thing is that, other than being born with good genes (such as the writer’s grandmother in her late 90s who eats an unhealthy serving of rich pastry each and every morning) and doing one of two things, he finds that there are no magic bullets to avoid aging. The key – how simple is this? – is not to avoid aging but to avoid aging as quickly as others in your peer group. Exercise is key because mobility is essential. Without mobility – and this is true in humans as well as for animals in general, disease and death are never far away. In Spring Chicken, Gifford includes practical tests that one can use to self-measure mobility. Read this book and stay young forever! Or, die trying. 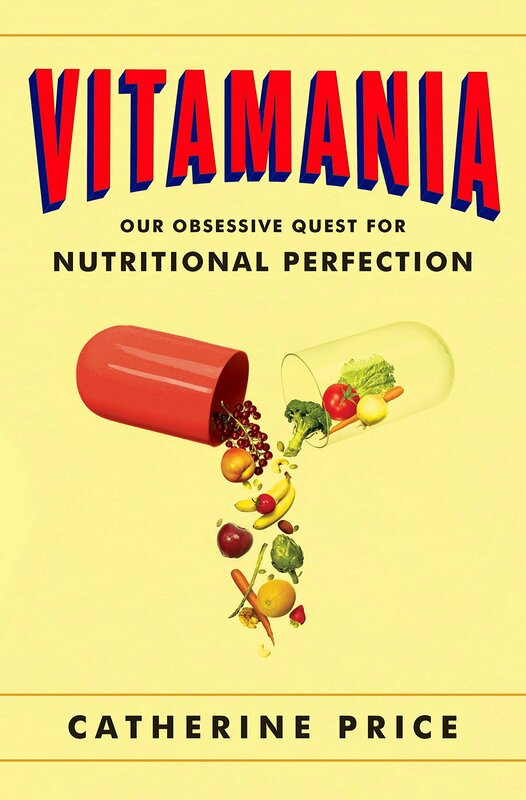 If you read and enjoy Spring Chicken, you may also want to consider Vitamania: Our Obsessive Quest for Nutritional Perfection by Catherine Price. Wild Cats of the World is a coffee table sized book that at first glance looks like it would be the perfect gift for any feline lover. The book examines 38 species of small and big cats, augmented with beautiful photos and sketches. 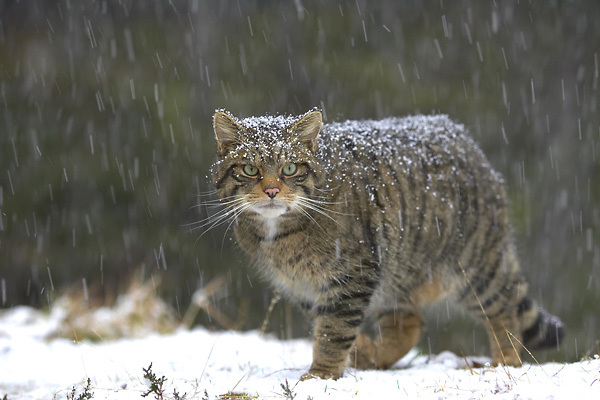 It also imparts interesting information, like the fact that female cats are actually more efficient hunters than males – since they don’t stalk things they can’t kill, and that wildcats can live a full 19 years in captivity. It’s also repeatedly stated that wildcats can and do interbreed with domestic cats. Unfortunately, this book has several weaknesses. Hunter is far too concerned with what each type of cat kills and eats; there are too many photos of cats with their prey – which deems it unsuitable to be kept around children; and the book over-emphasizes the issue of extinction of species. What could have been a joyful celebration of the world’s most successful mammal – one that exists in both large and small forms – becomes a depressing, dragged-out, textbook-like read. There’s not enough attention paid to the 43 breeds of domestic cats, which are far from extinct with 500 million of them serving as beloved pets, and an additional 500 million living as feral creatures. 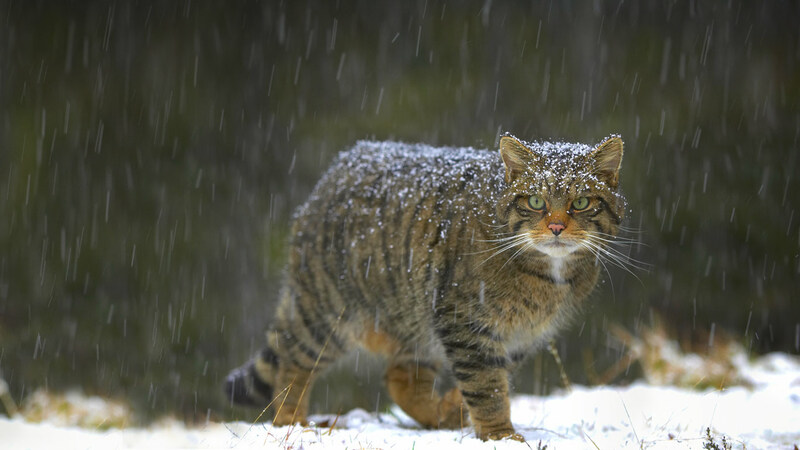 (500 million feral versions of Felis catus/Felis silvestris definitely equals a very successful type of wild cat!) And the high-priced book is poorly edited (“[a] survey must… continue for a long enough to sample…”). Overall, a miss instead of a hit. A review copy was provided by the publisher. This book was released on October 13, 2015. 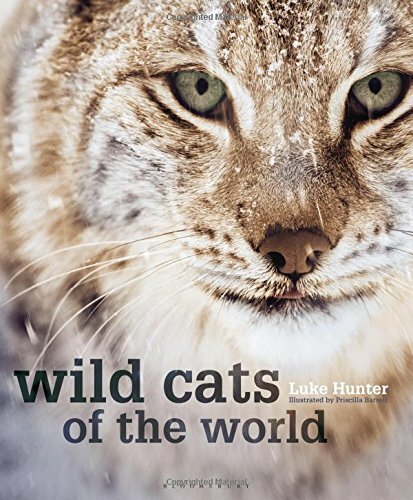 Note: There’s another book titled Wild Cats of the World, authored by Mel Sunquist and Fiona Sunquist (Chicago University Press). 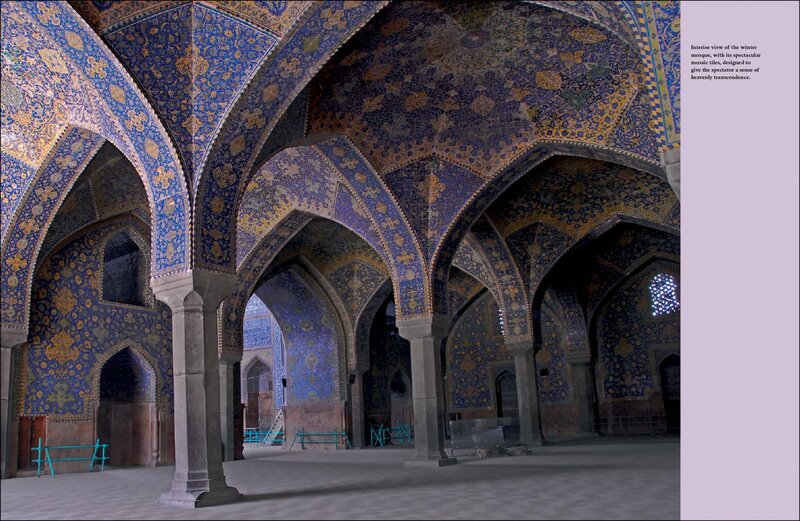 Architecture is an all-embracing adventure without end. It is a story that can never be completed as long as mankind continues to build, to invent, to discover; it is the story told by this book. 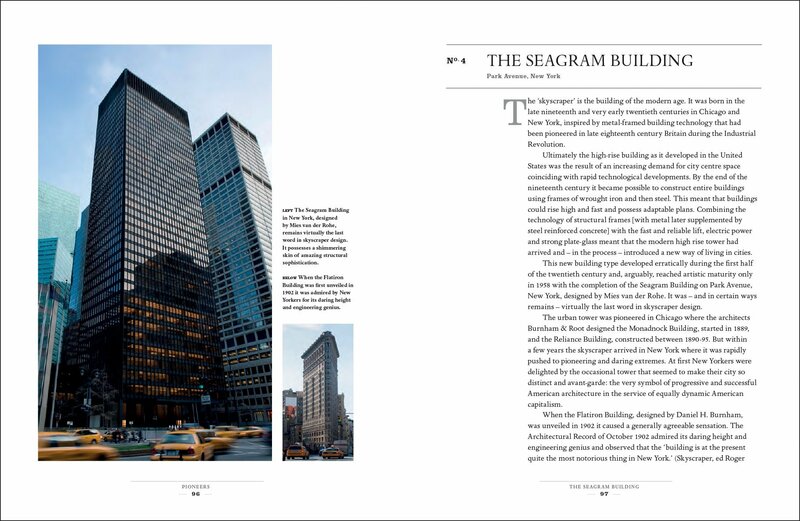 The modest dimensions of 100 Buildings place this book somewhere between two genres – popular survey and coffee table. 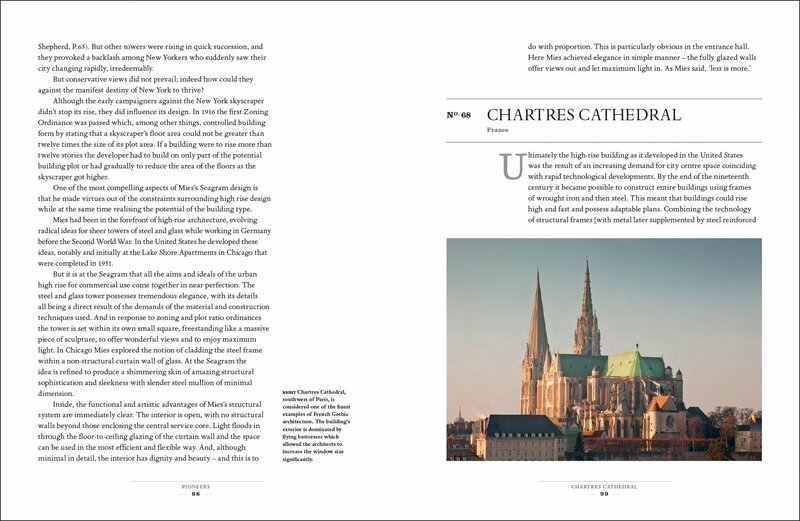 What sets it apart from both is the serious, understated way author Dan Cruickshank sets forth his take on the place of architecture in the world. Specifically, he goes into just the right amount of narrative to bring the icons, pioneers of constructions and breathtakingly beautiful creations here on earth alive for the reader. The illustrations and descriptions are superb but not overly fatuous. After all, we’re using the perspective taken by a writer in 2015. 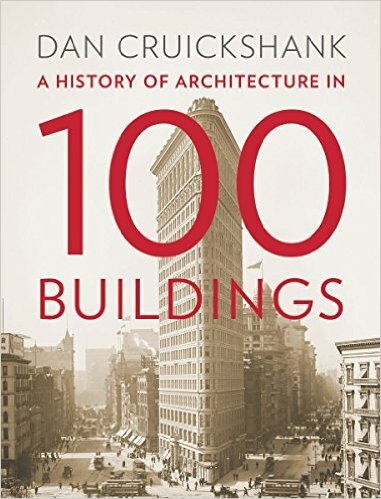 Students of architecture have no doubt studied many of the 100 buildings. 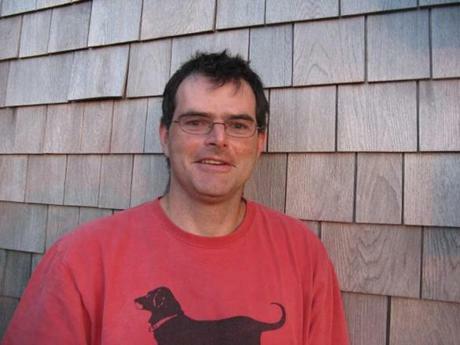 There are a few contemporary additions to the mix, which serve to keep Cruickshank’s history fresh and relatable. Sadly, there have been a few casualties of late in the Middle East. 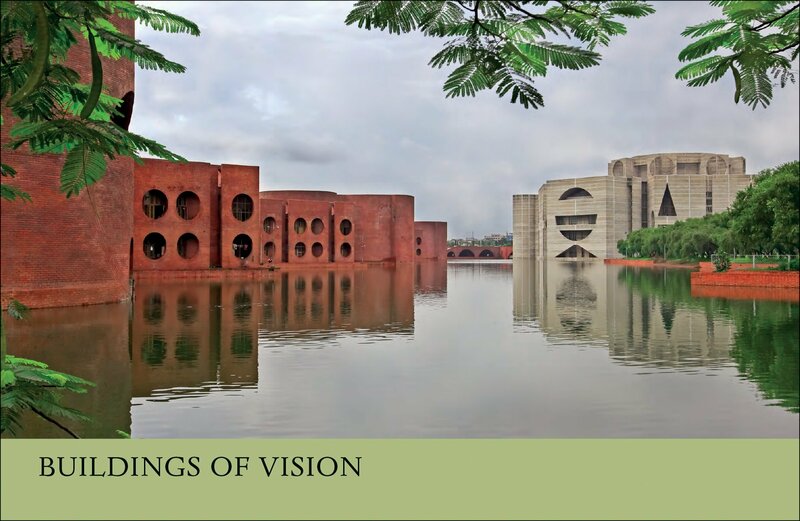 The power of architecture may well be lost on those who are lashing out. And, on a positive note, some nearly destroyed exemplary structures have been reconstructed. Most of the featured examples herein will be steadfastly holding their places in history long after we are merely dust. A review copy was provided by the publisher. This book was released on September 24, 2015. The dietary message from health authorities over the past 50 years has mainly been focused on reducing heart attacks – to the exclusion of acknowledgement of the rise in other diseases (obesity and diabetes in particular). 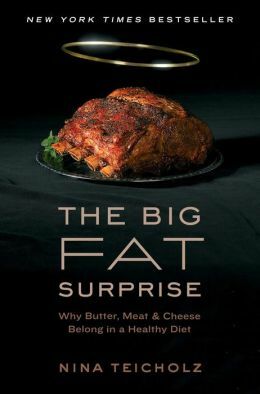 The Big Fat Surprise is a startling account of the origins of the decades-long single-minded attitude about saturated fat, red meat, eggs and butter that has been crammed down the throat of Americans and the world. Author Nina Teicholz has broad, well-established credentials having written for Gourmet, The New Yorker, The Economist, The New York Times and The Washington Post. She has covered Latin America for National Public Radio. As an investigative journalist, Ms. Teicholz approached the subject of low-fat nutrition from an attitude of curiosity in light of the staggering health problems currently plaguing millions of people. As an individual she experienced a dietary shock after a stint writing newspaper reviews of restaurants in New York City. Previously, she had been following the low-fat optimal health diet that our physicians, the government, and the press have admonished us is the only way to avoid heart trouble. Surprisingly, eating the meals sent out by chefs for review that featured “rich, earthy dishes” – not in any way part of the diet Ms. Teicholz had followed most of her life, resulted in a 10-pound weight loss and a true enjoyment of dining! The book is the result of dedicated research, a thorough review of thousands of existing studies and literature, and hundreds of interviews with most of the surviving scientists, politicians and food industry insiders who have touted or doubted the association of dietary fat and fatal heart attacks. Ms. Teicholz spent nine years working on the book and her work is well documented. 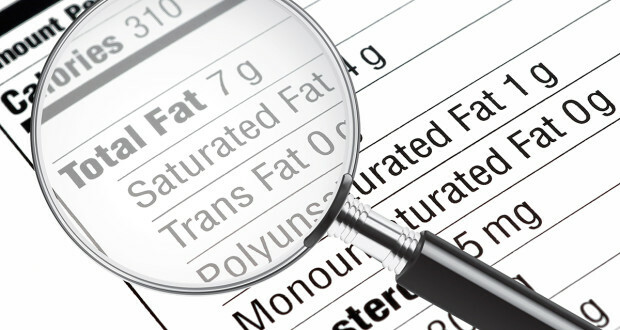 Poorly conducted research into the dietary habits of statistically invalid numbers of study participants were used by “the experts” to substantiate the supposed correlation between a “heart healthy” low-fat diet and reduced fatal heart attacks. Teicholz provides data and, by virtue of her footnotes and bibliography, enables any skeptical readers to see for themselves the basis of her conclusions. The book leads this reader to accept that the basis for the low-fat diet is shaky at best and its outcomes are decidedly harmful. Moreover, its perpetuation is the work of a few politically minded individuals who have used nasty tactics and millions of food industry dollars to prop up their claims. We’ve been advised that man does not thrive on meat and saturated fats; all LDL Cholesterol is our enemy; and the best sources of vitamins and minerals are fruits and vegetables. Well, get ready to be educated about food, both historically and scientifically. Our American forefathers were not proponents of veggies and fruit, nor were the African Maasai people or the Inuit people of the far Northern Hemisphere. Early American settlers were “indifferent” farmers, according to many accounts. They were fairly lazy in their efforts at both animal husbandry and agriculture, with “the grain fields, the meadows, the forests, the cattle, etc. treated with equal carelessness,” as one eighteenth-century Swedish visitor described. And there was little point in farming since meat was so readily available. The Big Fat Surprise is a must-read for young and old alike. Sadly, some folks are deeply committed to the “wisdom” fed to them over the last 50 years and will resist the message Ms. Teicholz has so thoughtfully crafted. “You’re never too old to learn”, I was advised by my 90-year-old mom this past weekend. Now, if only I can persuade her to read this book, she can begin to enjoy eating real cheese instead of her low-fat cheese substitute! The unfortunate thing about this book is that the very people who will be attracted to it may be those who’ll get the least from it. I’m speaking of those who suffer from anxiety, something that Scott Stossel is unable to define although he claims to suffer from it. Stossel is not an expert but he combines a survey like approach – what he calls “a cultural and intellectual history of anxiety,” to the topic with his own experiences. (This takes up over 400 pages.) The problem with the initial approach is that Stossel plunges into deep waters quickly, discussing Kierkegaard and Sartre and the nature of Existentialism. All readers who were not Philosophy majors in college are likely to be lost immediately. The author might have grabbed the reader by relating his own anxious experiences first. However, there are two problems with his stories. Firstly, one wonders whether some of them actually happened. And, secondly, they must have been greatly exaggerated in the telling. 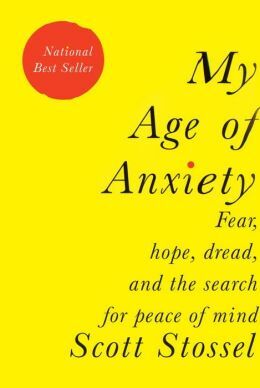 Those who pick up My Age of Anxiety thinking it’s a self-help book will likely be disappointed, especially as Stossel self absorbedly and somewhat relentlessly relates the exact nature of his confused and anxious mental state ad infinitum (to infinity).